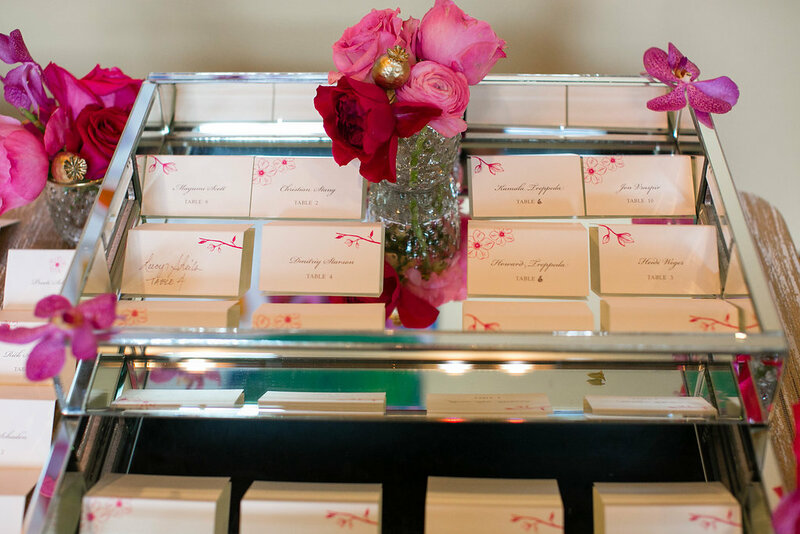 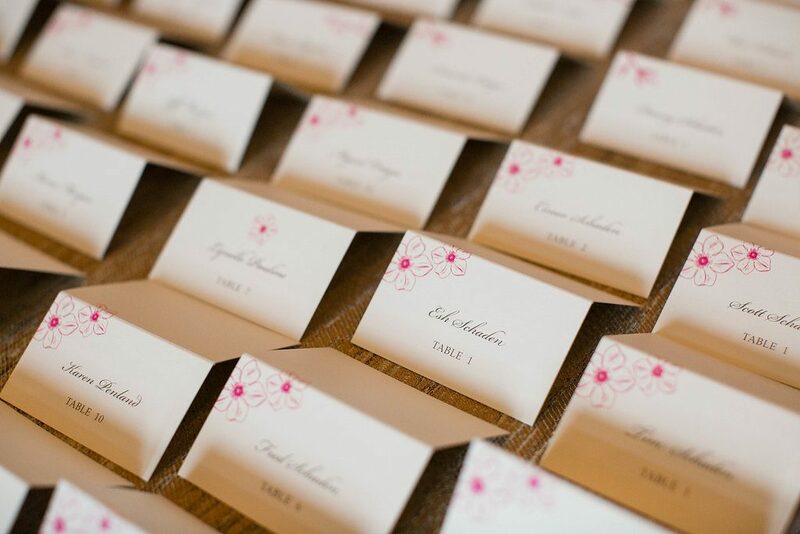 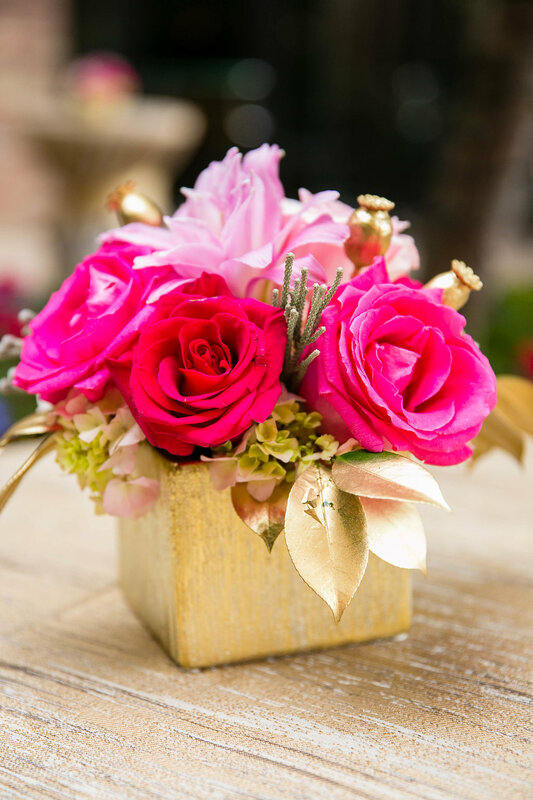 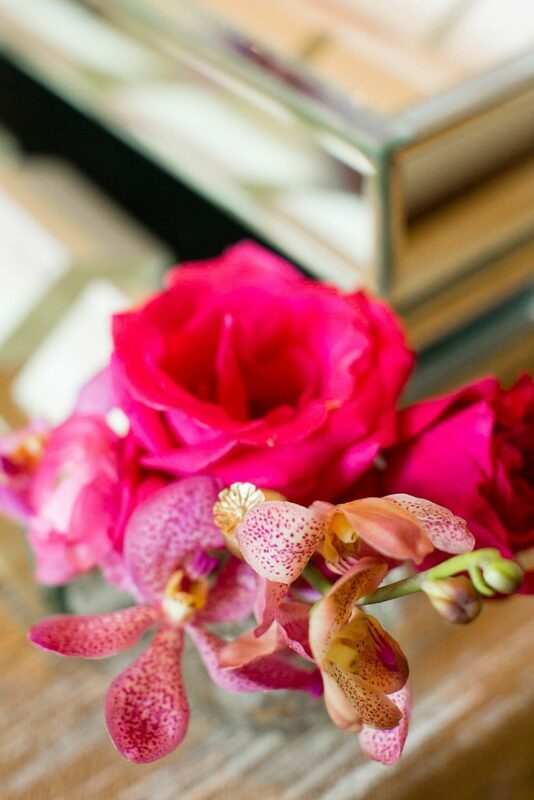 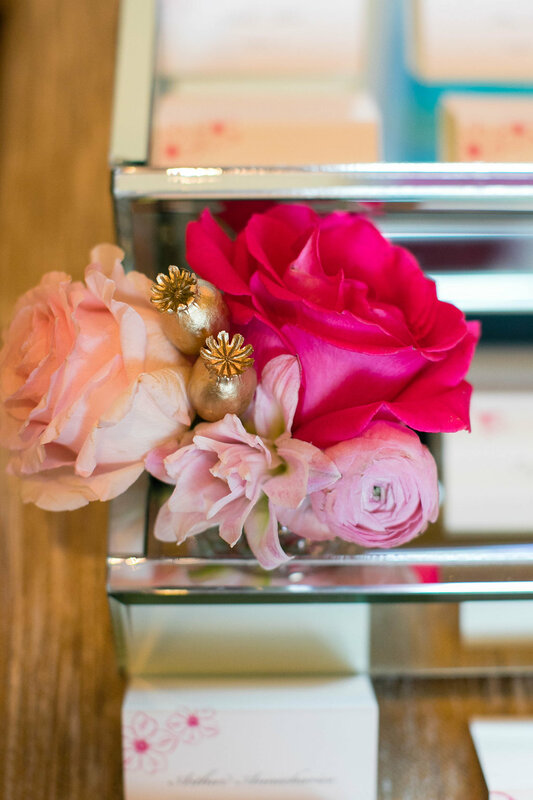 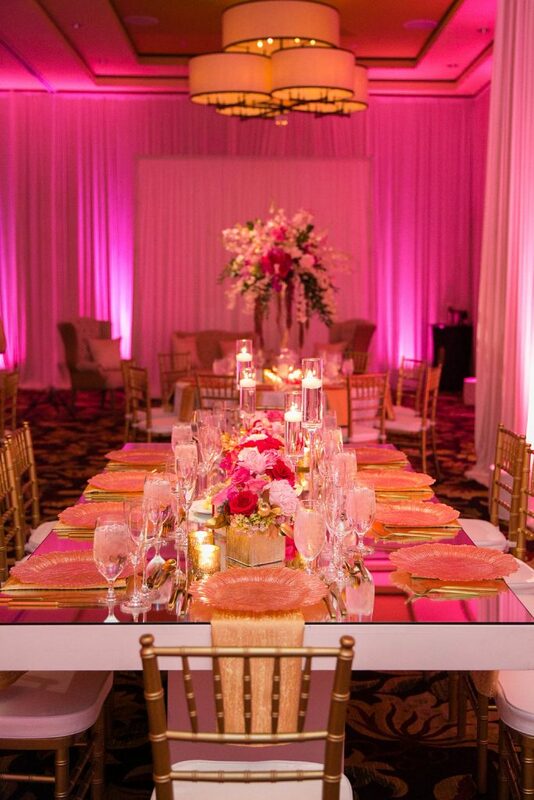 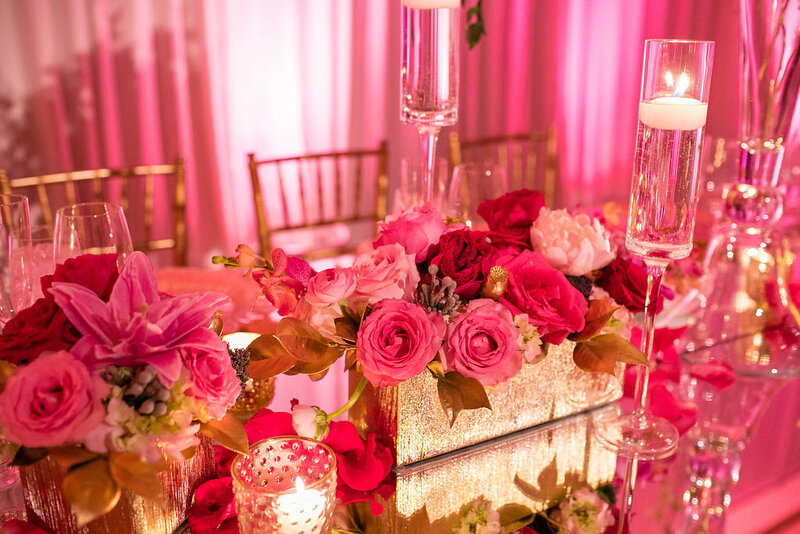 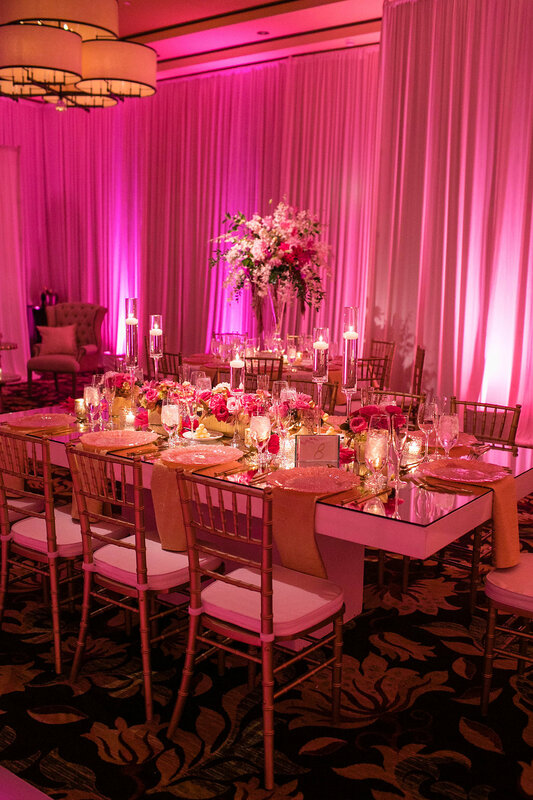 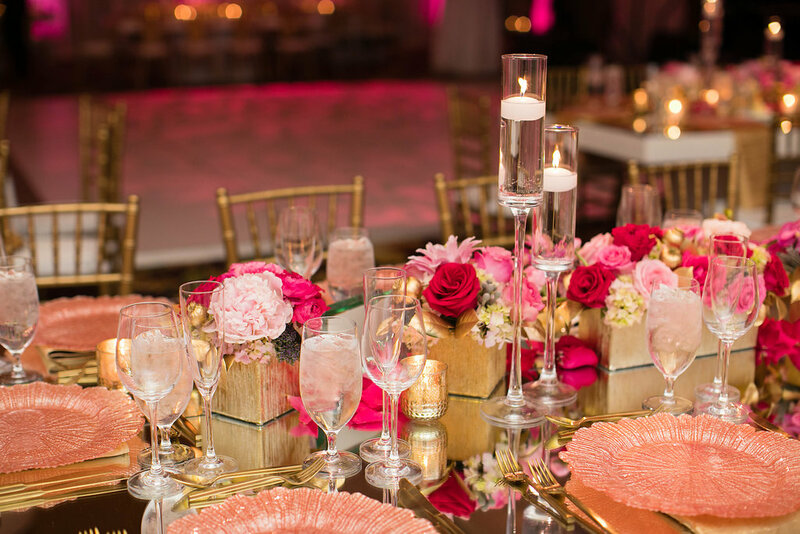 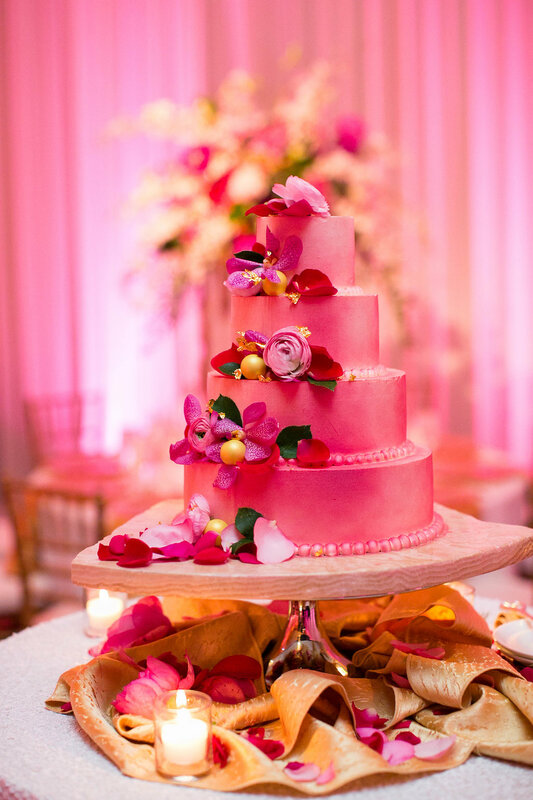 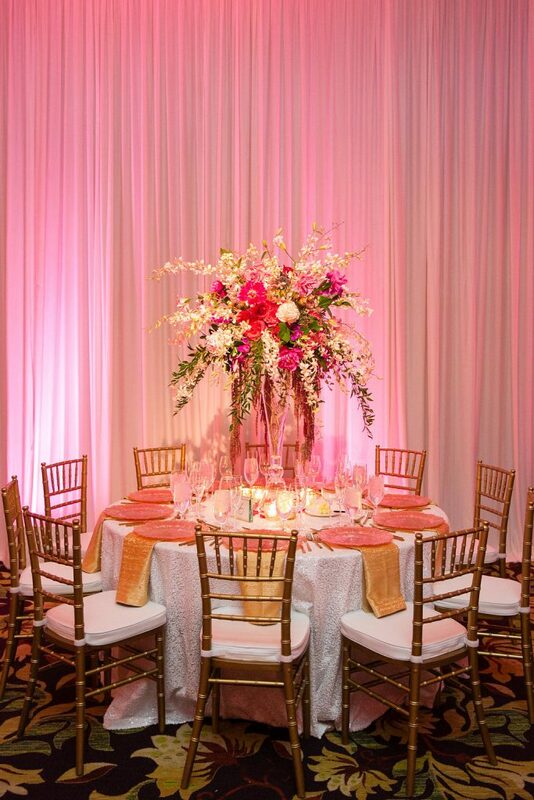 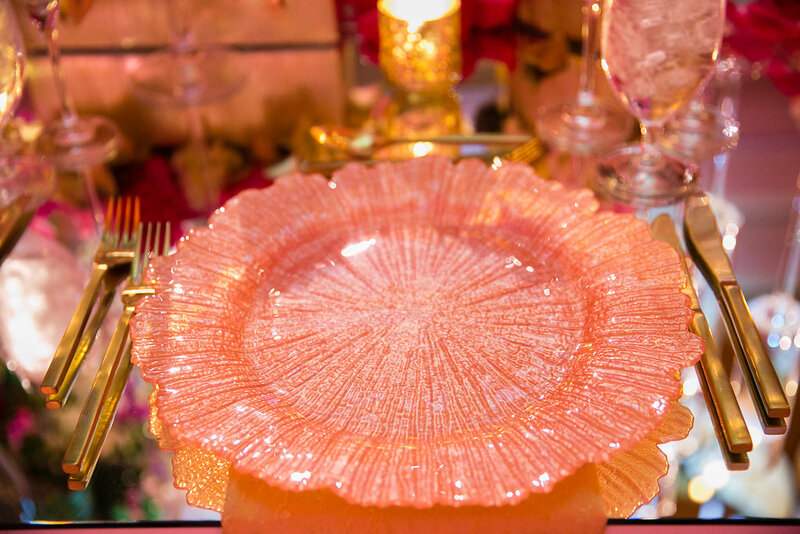 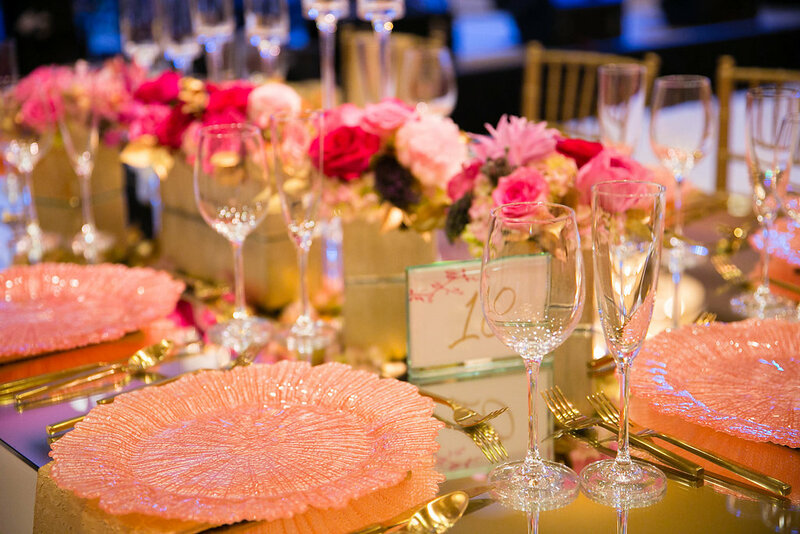 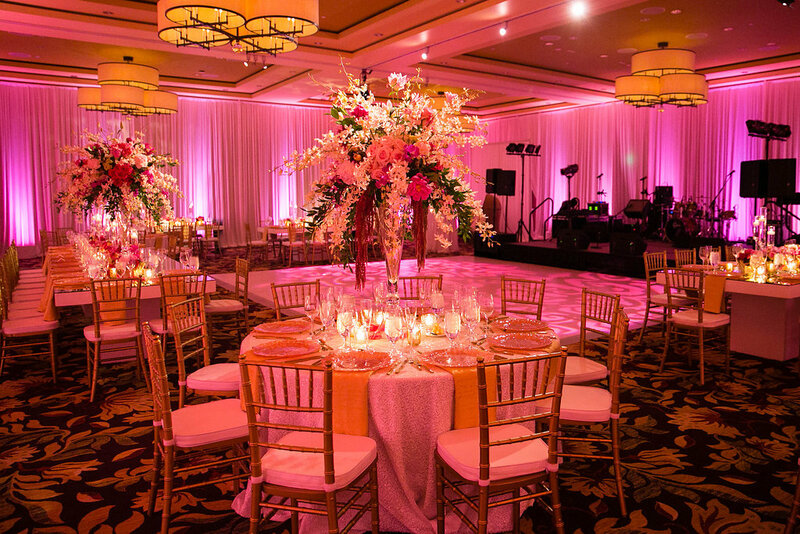 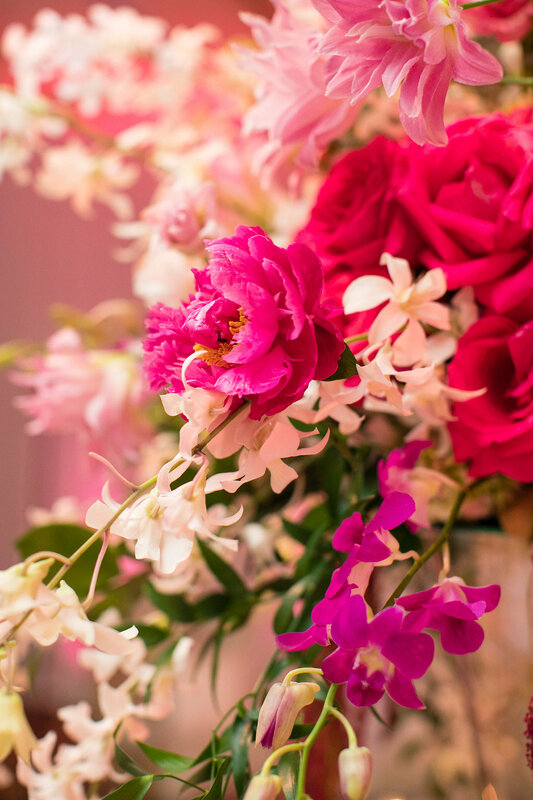 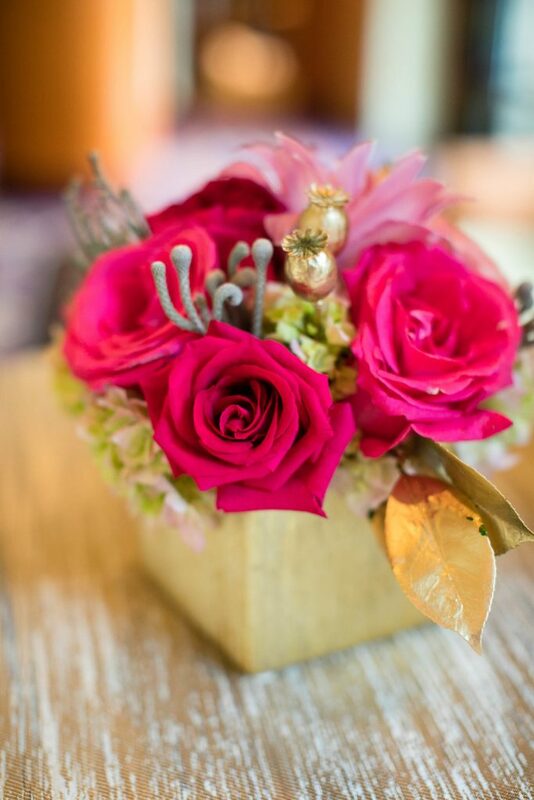 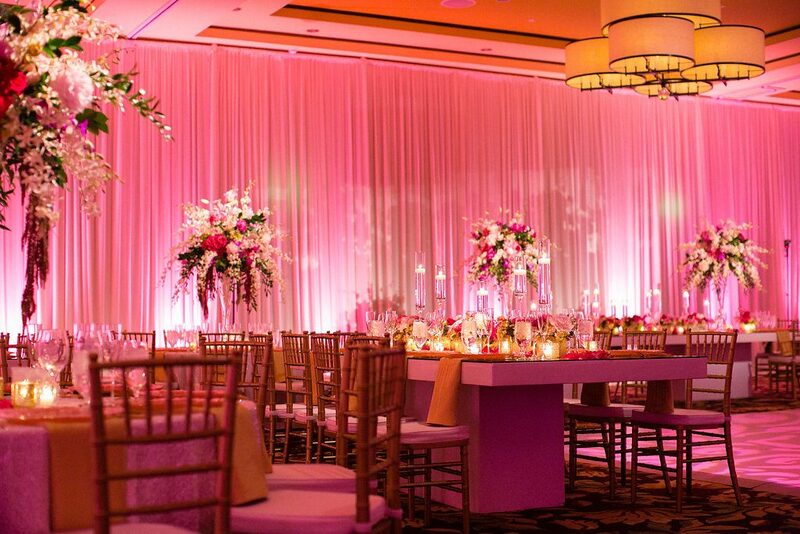 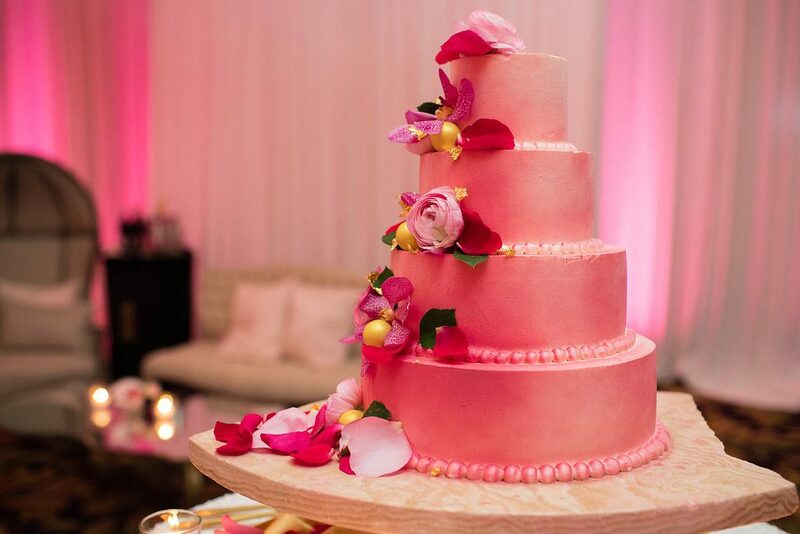 From delicate place settings to a fully draped ballroom room, from fresh florals to exquisite lighting, we layered pink on top of pink with grace and beauty. 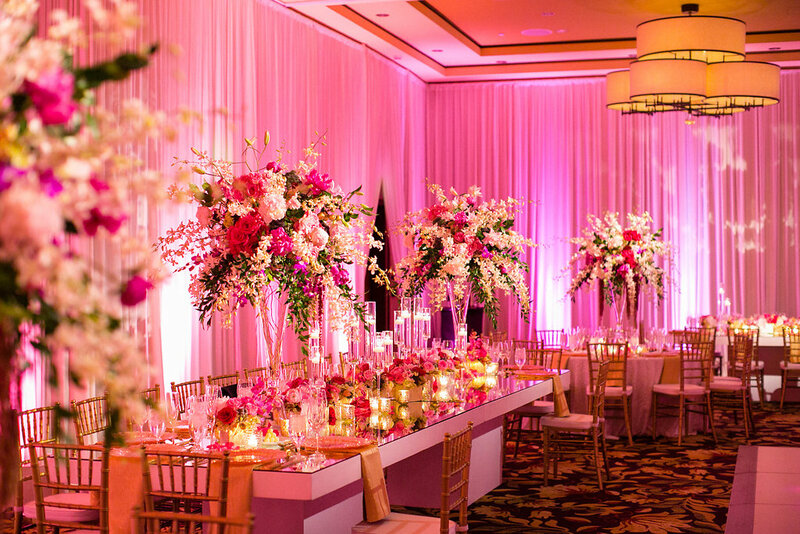 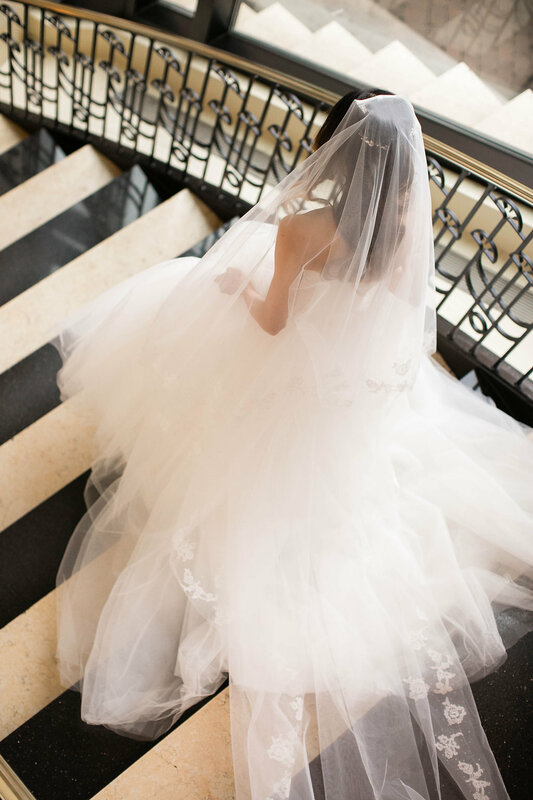 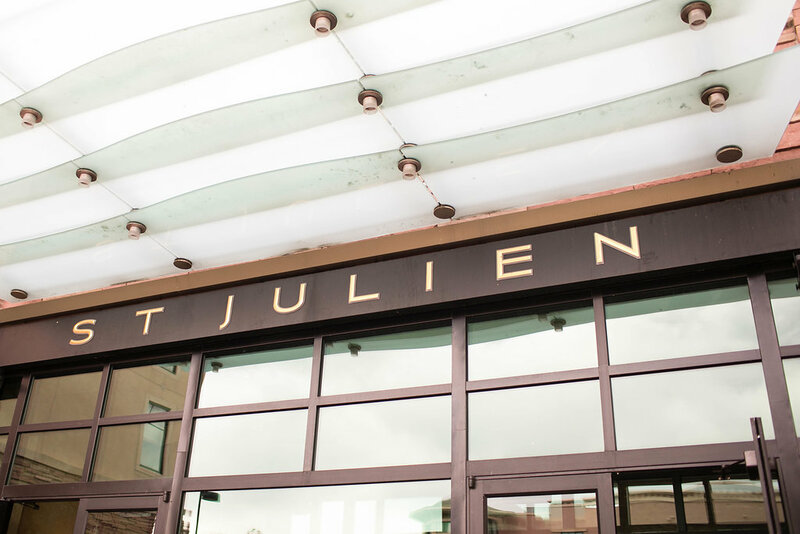 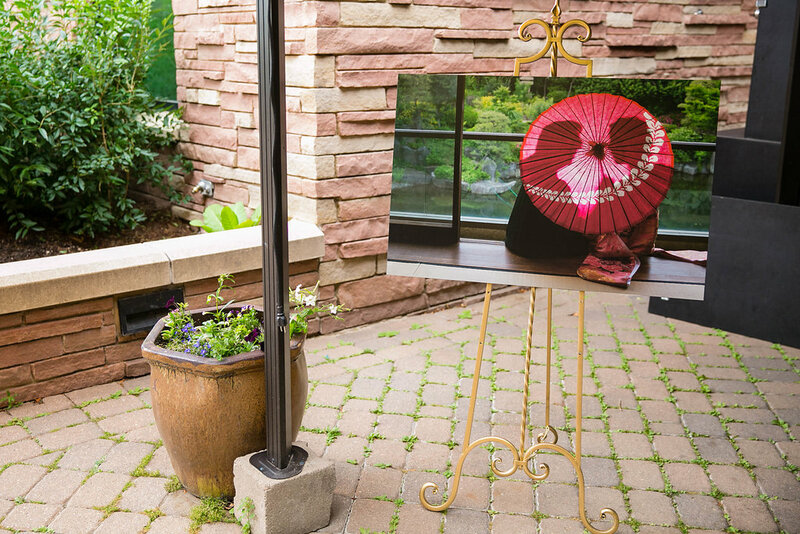 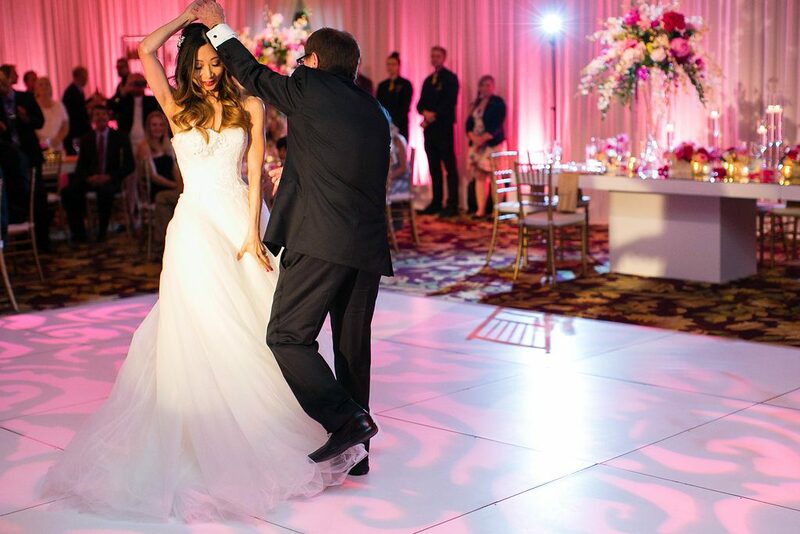 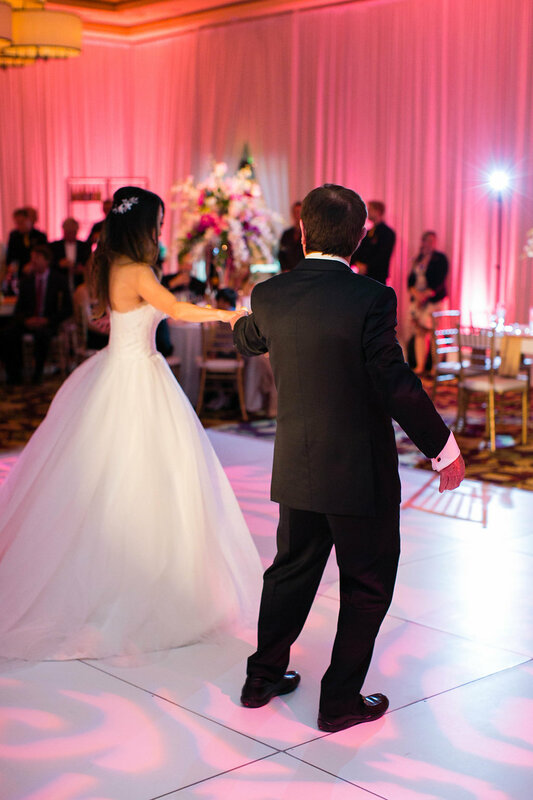 Akikio and Richard celebrated, ate, and danced with loved ones under a blanket of soft pinks. 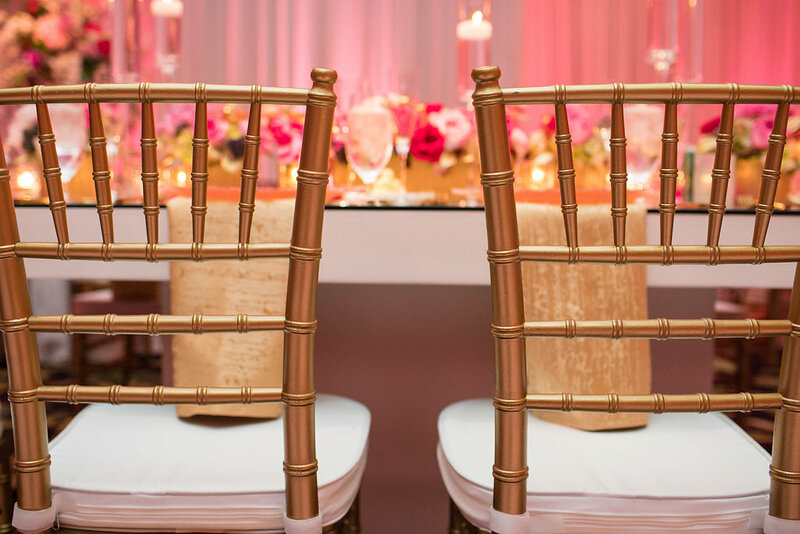 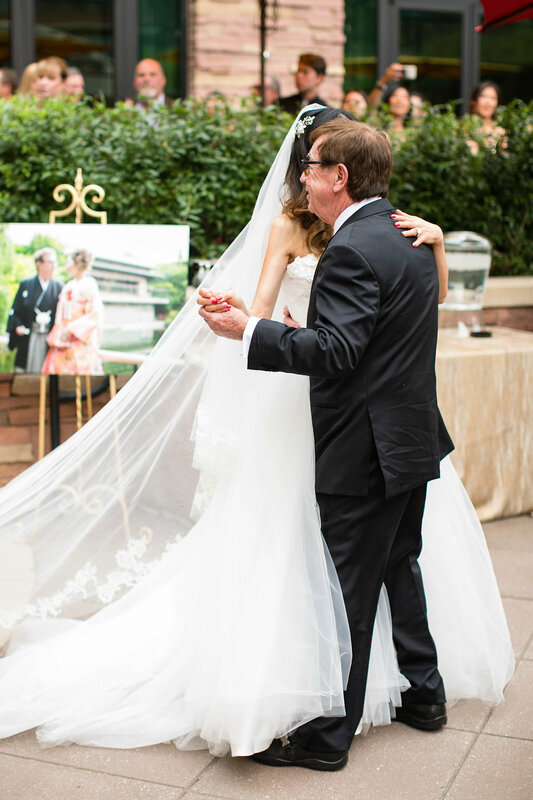 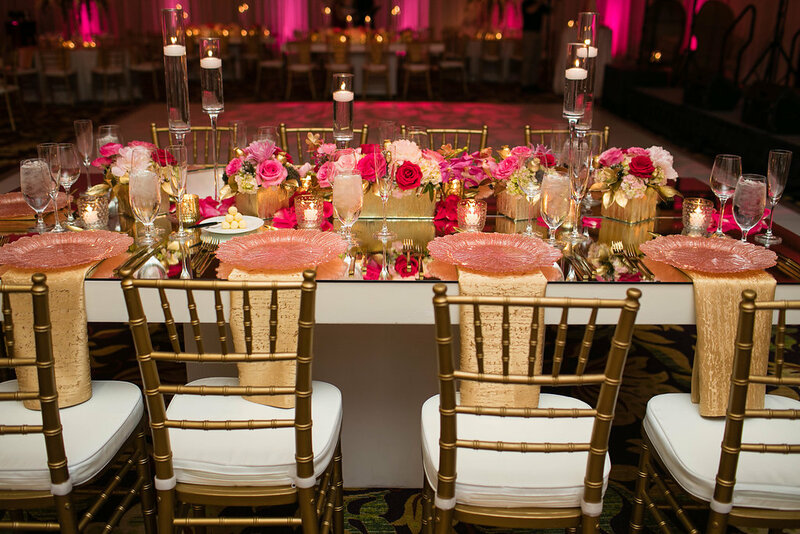 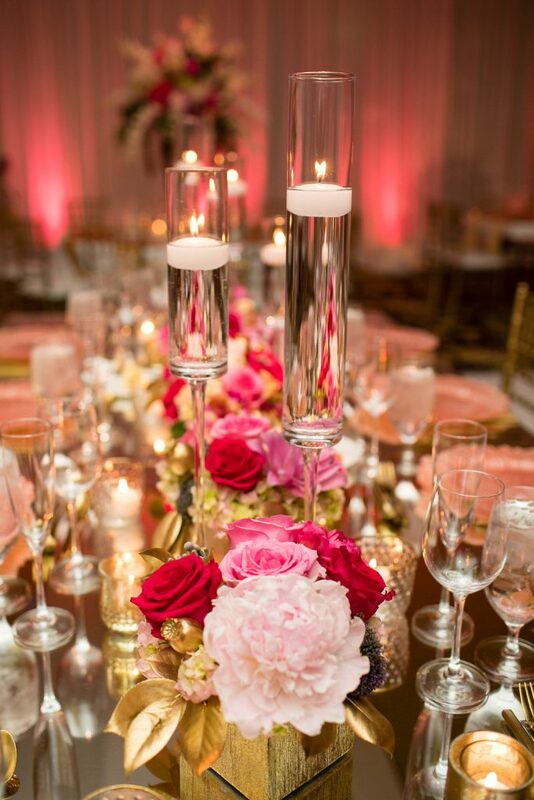 Furthermore, our gold chiavari chairs and touches of metallic added additional reflective surfaces and texture, tabletops were covered in full length mirrors, and a plethora of candles adorned each table for extra warmth and romance.